Let me show you the interesting information about the largest species of all living turtles in the world on The Leatherback Sea Turtle Facts. In the modern reptile class, it takes the fourth heaviest one. 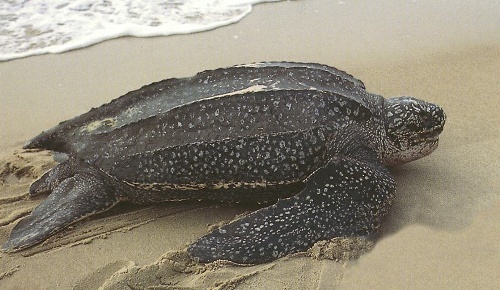 The scientific name of leatherback sea turtle is Dermochelys coriacea. It has the common name leathery turtle or lute turtle. The main characteristic of this turtle is seen from the lack of bony shell. The oily flesh and skin cover the carapace. 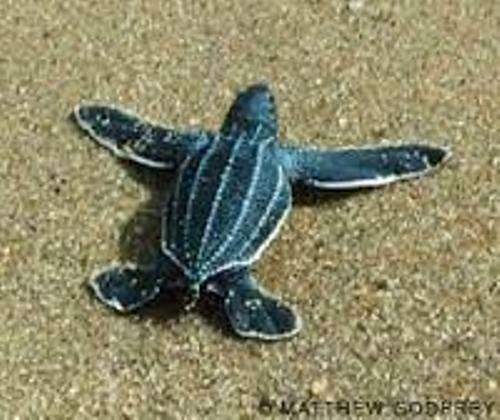 The Leatherback Sea Turtle Facts 1: where to find leatherback sea turtle? 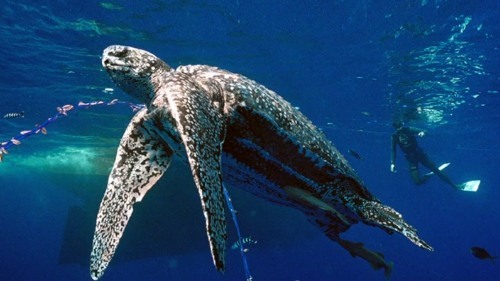 If you are interested to find leatherback sea turtles, they are mostly spotted in the open sea. 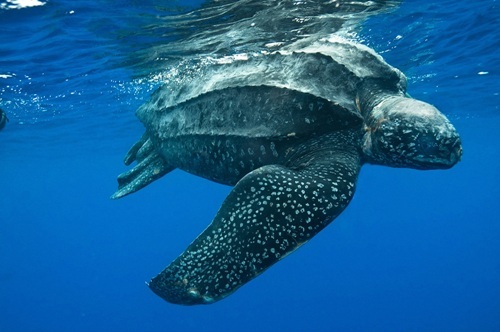 Leatherback sea turtles like to do a foraging journey. There was a leatherback sea turtle tracked by scientists covering the journey for 647 days to reach United States from Jen Womom beach, Papua, Indonesia. The distance is 12,000 miles or 20,000 km. When the night comes, the leatherbacks prefer to stay in the shallow water. When the day comes, they choose the deeper water to hunt the jellyfish. Leatherbacks have to stay in the deeper water during the hunting time. There was a leatherback which resisted the surface temperature at 0.4 degrees Celsius waiting for its prey. The primary prey of leatherback sea turtles is jellyfish. That’s why the jellyfish population in the ocean can be controlled due to the presence of the natural predator. Other preys of leatherback sea turtles include cephalopods and tunicates. The Pacific leatherback sea turtles will like to eat California jellyfish by leaving their nesting sites in Indonesia to come to Pacific. They cover the journey of 9,700 km. Leatherback sea turtles are in endangered situation when they think that the floating plastic bags in the ocean as jellyfish. The life span of leatherbacks is around 30 to 50 years. But there are some leatherbacks which live up to 100 years. Check facts about Loggerhead Sea Turtles here. There are many predators which endanger the life of leatherbacks since the early life. The coastal predators like mongooses, dogs, and raccoons may eat their eggs. The large fish, requiem sharks, and cephalopods are some predators of young leatherbacks. Find facts about Snapping Turtles here. 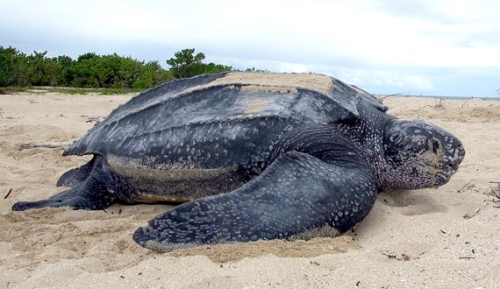 Do you enjoy reading facts about the leatherback sea turtles?